Rebuild Wine Country has raised more than one-million dollars since October 2017, with a goal of raising $5 million for Habitat for Humanity’s rebuild efforts in North Bay. Napa, Sonoma, Santa Rosa and the surrounding areas of the North Bay were devastated by the 2017 wildfires. At FutureBlank, we wanted to help and do all we can to make a difference, so we have designed and developed a one of a kind T-shirt to show our love. All profits from the sale of these shirts will be donated to Rebuild Wine Country to help provide much-needed supplies to the victims and to help rebuild their lives. After witnessing first-hand the destruction caused by the wine country wildfires, that left more than 8,000 families without homes, we knew we had to act. 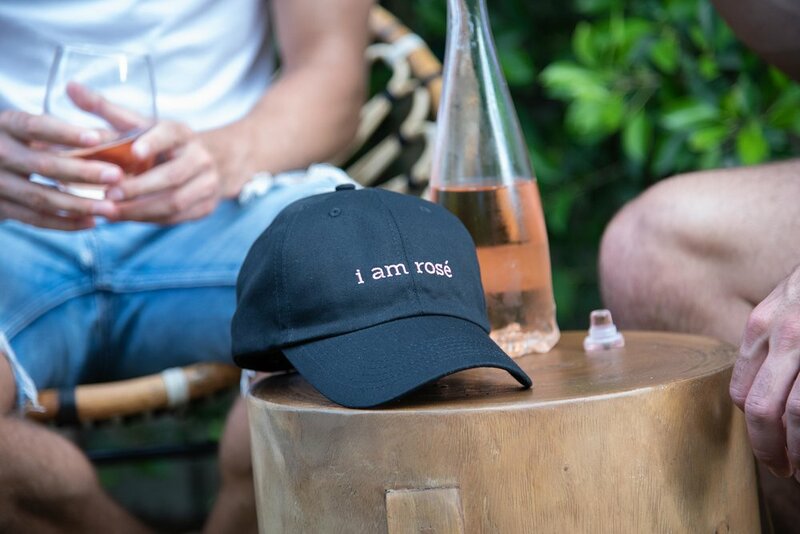 So, we created the ‘i am rose” hat to support our friends at Rebuild Wine Country—who have partnered with various local Habitat for Humanity chapters to repair and rebuild homes across all five counties affected. Five dollars of each hat sale will go directly toward their efforts to help those affected by the fires get back on their feet, and that's something to which we can all raise a glass.